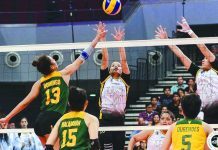 GUIMARAS Mango Country squad swept the women’s and men’s event of the Guimaras Volleyball Championship All-Star Games on Sunday at Sibunag Gym in Guimaras. Guimaras Mango Country recovered from two sets down to score an 18-25, 21-25, 25-22, 25-9, 15-9 victory over the Guimaras Stars. Debra Ann Reala was hailed as the match’s best player. 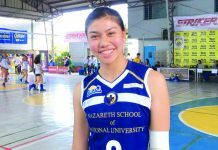 Reala’s teammate Janice Galacgac was named as the Best Libero while Guimaras Stars’ Rhea Mae Pama and Rica Mae Cosio were the Best Setter and Best Spiker, respectively. In the men’s exhibition match, the Guimaras Mango Country recovered from a third set setback to score a 25-23, 25-22, 21-25, 29-27 victory over the Guimaras Stars. Jiggy Gallo emerged as the Best Player of the match. 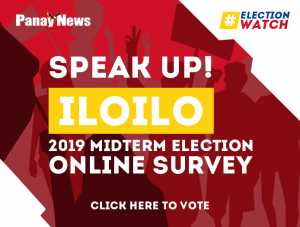 Guimaras Stars, however, have a consolation in individual awards with Christian Infante being named as the Best Libero, Russel Greg Montanes as Best Setter and John Luke Silva as Best Spiker.